Who doesn’t want the peace of mind that comes with a predictable cash flow? Business owners in the current era crave the knowledge and surety of knowing exactly when future payments are going to be received. To attain such peace of mind, ACH processing solutions are being used in an increasing manner in the industry today. While ACH transactions have become commonplace in the United States, a large number of businesses fail to utilize the incredible potential that can be unleashed if the right ACH processing solutions are used. 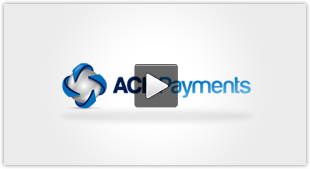 Using modern business solutions for ACH payments, processing has become more streamlined than ever before. This enables businesses to integrate client accounts along with future payments, directly into the system. When this happens, business owners are assured of the payments along with the surety of the date of future payments that will originate from the client’s end. With such capabilities, businesses can rest easy knowing the payments that are due will surely be received in time, thus creating a predictable cash flow. Multiple methods for ACH processing are employed by various business solution providers. In most cases, businesses often require a specific implementation of a payment processing system to suit their needs and infrastructure. More upscale payment processors tend to go for custom solutions, tailoring the processing system as per the business’ demands. For small business, the easy-to-use virtual terminal method is employed to process and payments remotely. The method is easy to integrate with most existing company software. Once you move up the spectrum, state-of-the-art solutions that involve complete integration with the firm’s application programming interface are also available for larger businesses with hefty transactional requirements. To survive and then thrive in the current business arena, using ACH processing has become a must. With e-commerce becoming increasingly common across business platforms, implementing bespoke ACH payment processing has become a strategic decision, more so for businesses which depend largely on recurring transactions.